A leading manufacturer of chemical products is celebrating after its new technology for protecting the environment was recognised by a high-profile competition. Reabrook Limited, which employs 280 people at its state-of-the-art manufacturing plant on the Derbyshire/Leicestershire border, beat off competition from 80 other firms to secure the Sustainability Award from the British Aerosol Manufacturers’ Association (BAMA). Judges praised the company for its innovation in introducing a range of compressed air aerosols targeted at industry under its ‘Arrow Solutions’ brand. The ‘PBCA’ technology replaces traditional propellants such as Butane and Propane and offers a significant reduction in carbon dioxide that appeals to aerospace, rail, MoD and general engineering customers looking for a greener solution. So far over 140,000 of these aerosols have been sold since their introduction. “We take our commitment to social and environmental responsibility seriously and that is truly represented by the introduction of ‘PBCA’ technology for many of our aerosols,” explained Jonathan Lane, Sales Director for Arrow Solutions. Reabrook was praised by the judging panel for being the only company in the world to develop compressed air aerosols for the rail industry, which are effective in cleaning electrical and mechanical components. The new range is not only eco-friendly, but more cost-efficient than their traditional, gas propelled counterparts. The technology has also been used in airplane engine component cleaning, component corrosion protection and label removal. 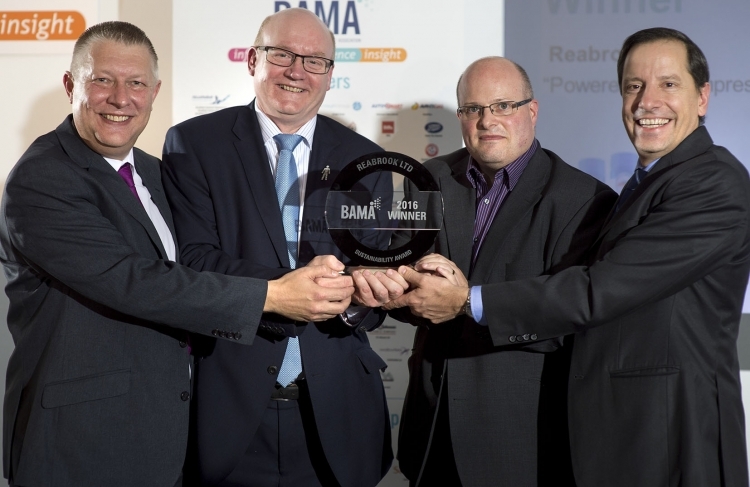 Tony Brealey, Managing Director at Reabrook, concluded: “The BAMA award is great recognition for the innovation that we are continually looking to provide. Reabrook manufactures speciality chemical products under its brands Arrow Solutions and Nielsen Chemicals and under private label for their brands Reabrook Health & Beauty and Reabrook Contract Manufacturing.